What's in a name? 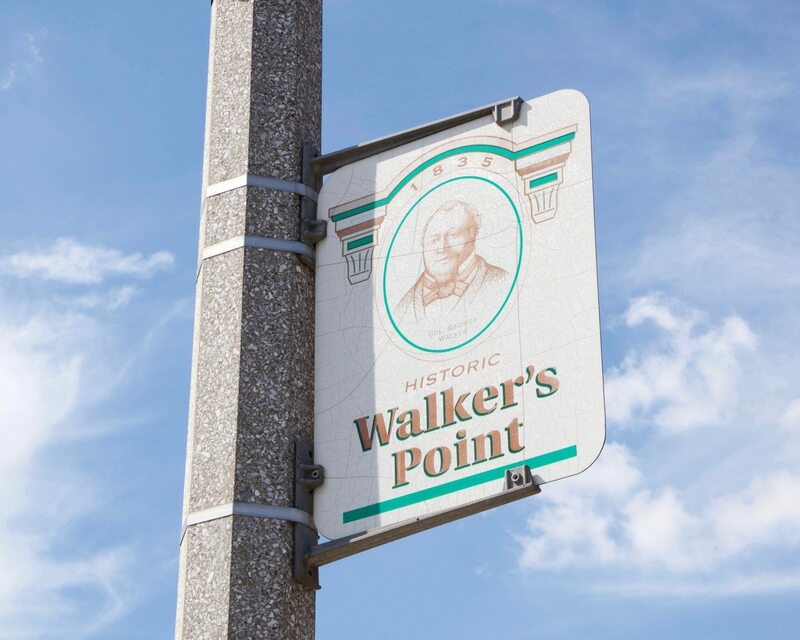 Well, a Walker's Point by any other name could be "Inner Harbor" or "Fifth Ward" or "Harbor District" or . . . just a great place to not only work but also to live and play, a place where art and food mingle with recreation and science, a place with great potential and big dreams. 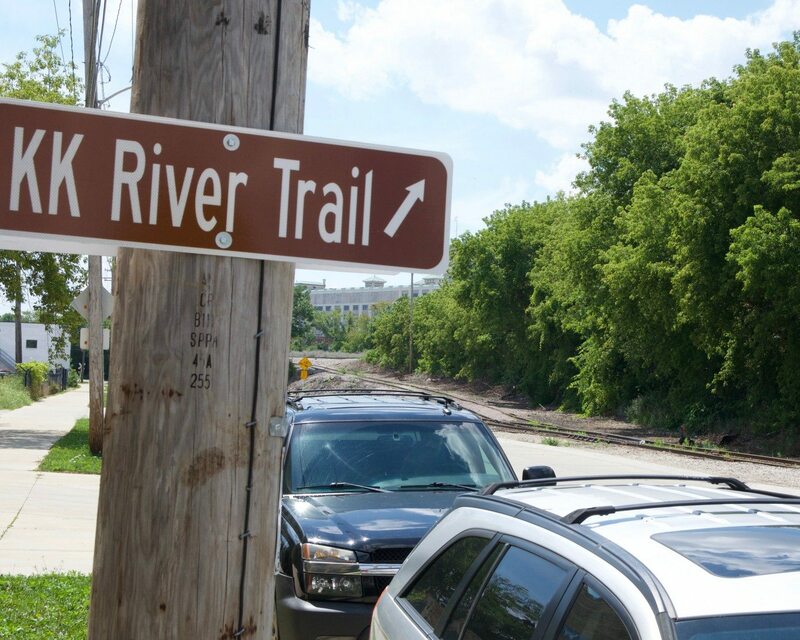 In the 1830s, George Walker established a fur trading post in an area south of the Milwaukee River near present-day South 1st Street and East Seeboth Street. 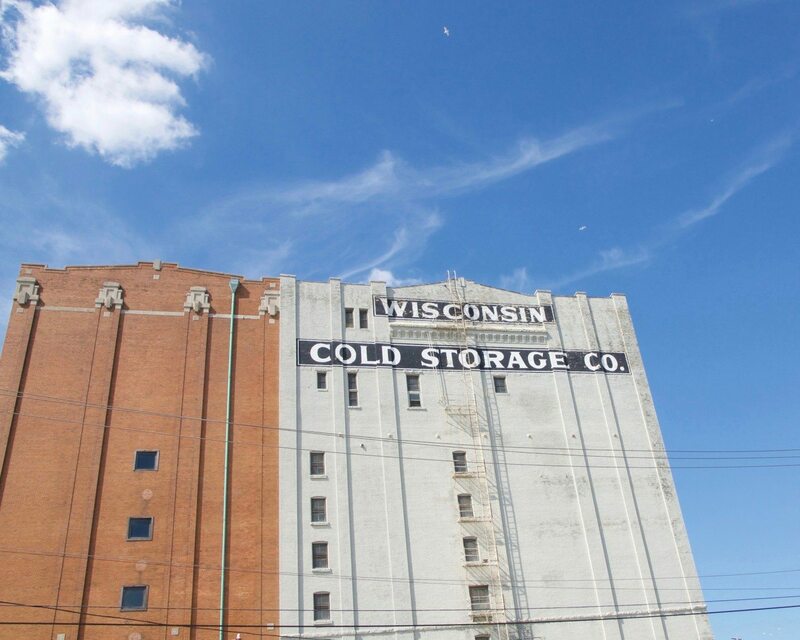 In 1846, Walker’s Point incorporated with Solomon Juneau’s Juneautown (present-day East Town) and Byron Kilbourn’s Kilbourntown (present-day West Town) to become the city of Milwaukee. 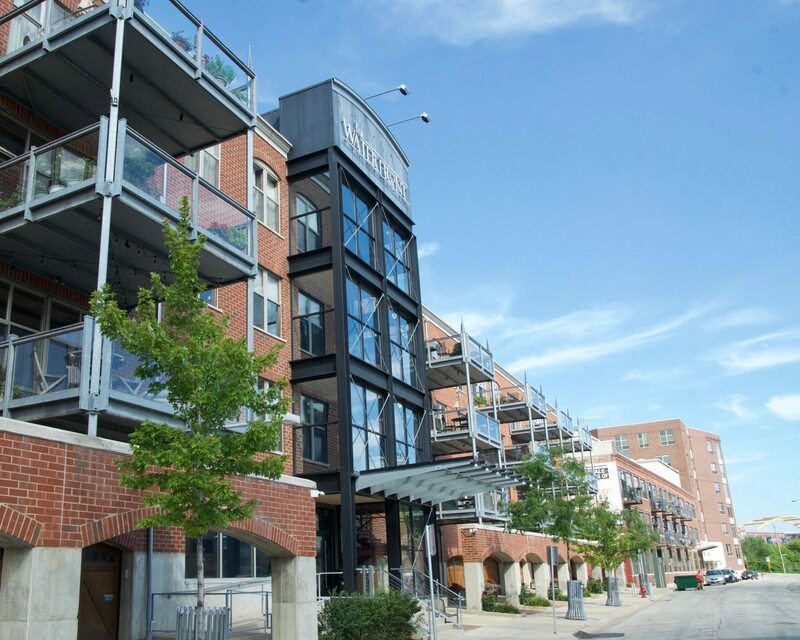 Fast-forward to the 1980s: business developers had dubbed Walker’s Point the “Fifth Ward” (in Milwaukee’s infancy, the city was divided into wards, not aldermanic districts like today, and the Point was in the Fifth Ward) in an effort to attract the kind of growth experienced in the Third Ward. Another “however”: In 2015, the Harbor District, Inc., formed to begin re-envisioning the potential of the Harbor View neighborhood, holding design charrettes and community engagement events. The first Harbor Fest was held in October of 2017. It is no wonder that the Harbor District, Inc. is trying to restore this “east of 1st Street” area (see map, which is on display at the UWM School of Freshwater Sciences). 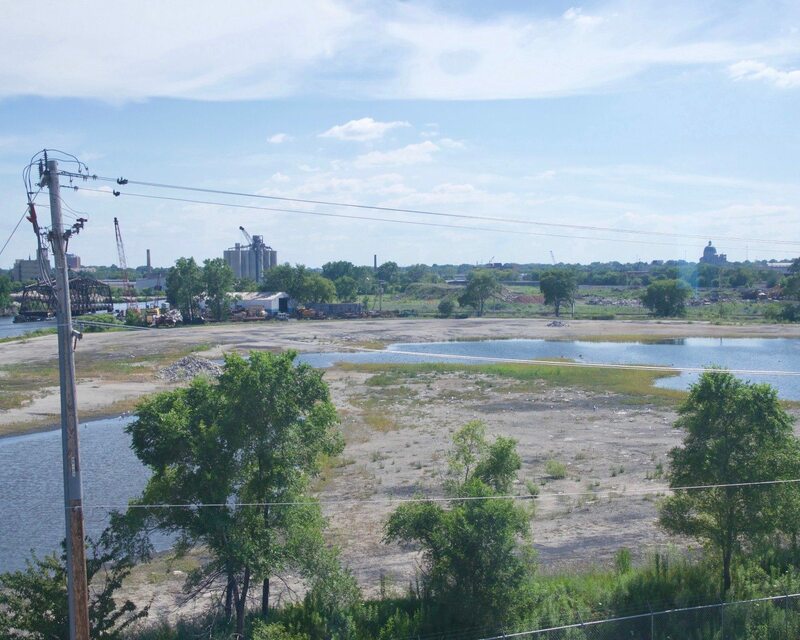 The area has been “under development” ever since Native Americans canoed the confluence of three rivers and harvested wild rice, fish and fowl in the 10,000 acres of former wetland that Harbor View (or whatever you want to call it) sits on. 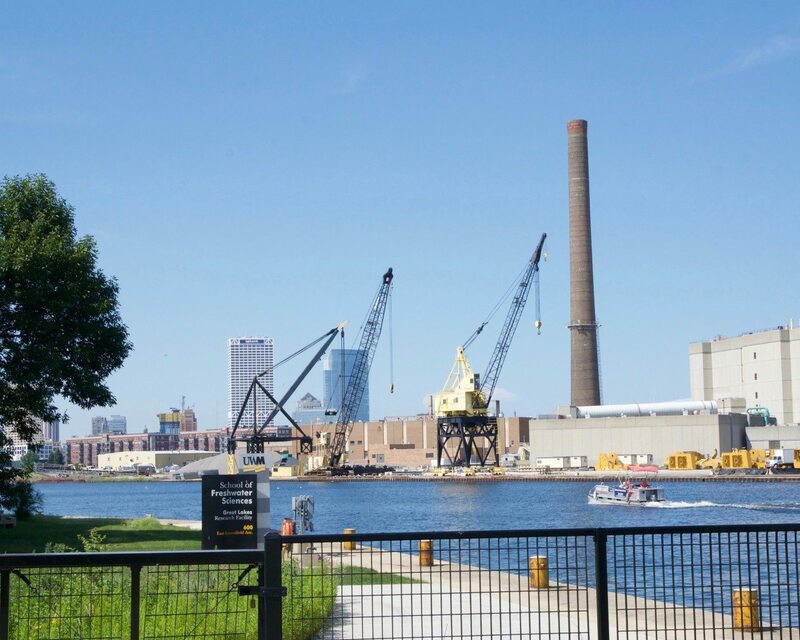 European settlers like George Walker arrived and eventually, booming industry saw the filling the wetlands, the dredging of canals, and even the relocation of the mouth of the Milwaukee River (we can do that?). 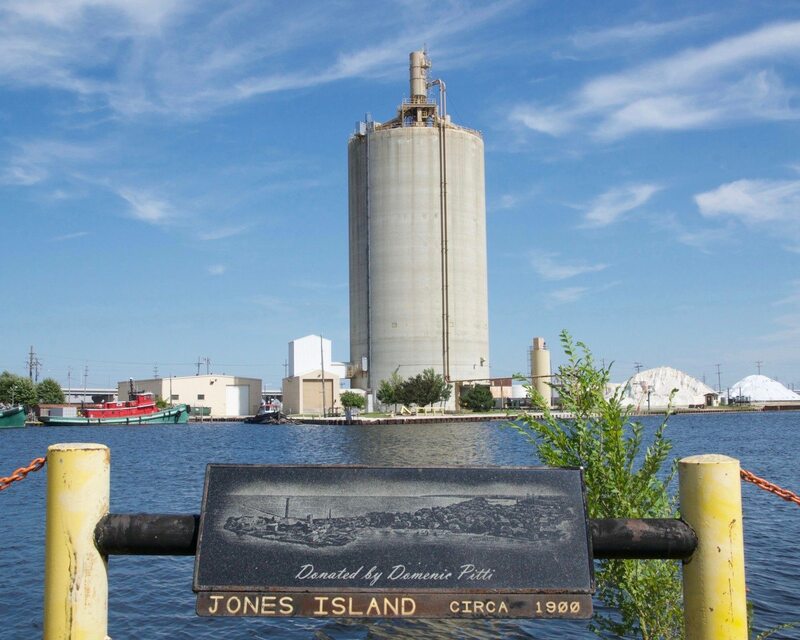 This area became a hub for shipping and railroads, trucking and storage. 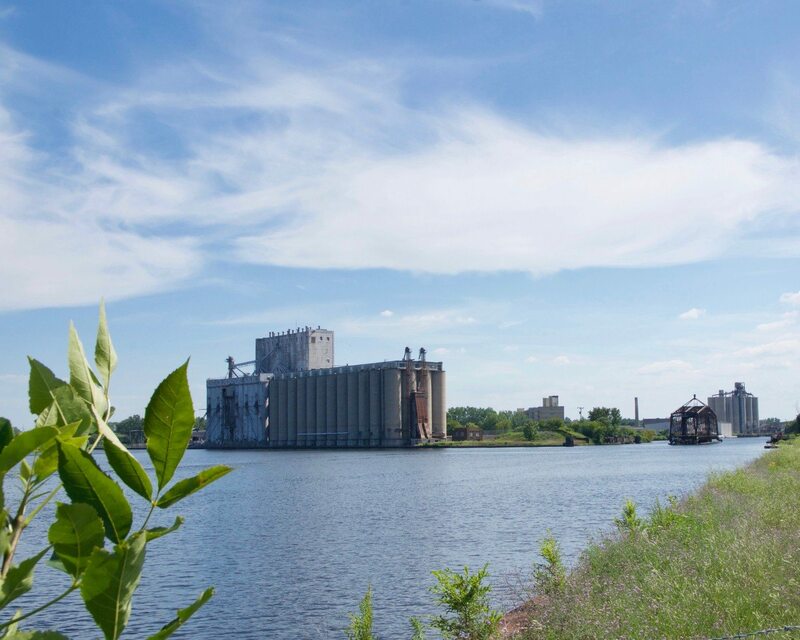 The Milwaukee Solvay Coke & Gas Company used to service the steel industry on 44-acres of land just south of the beautiful Freshwater Sciences campus. 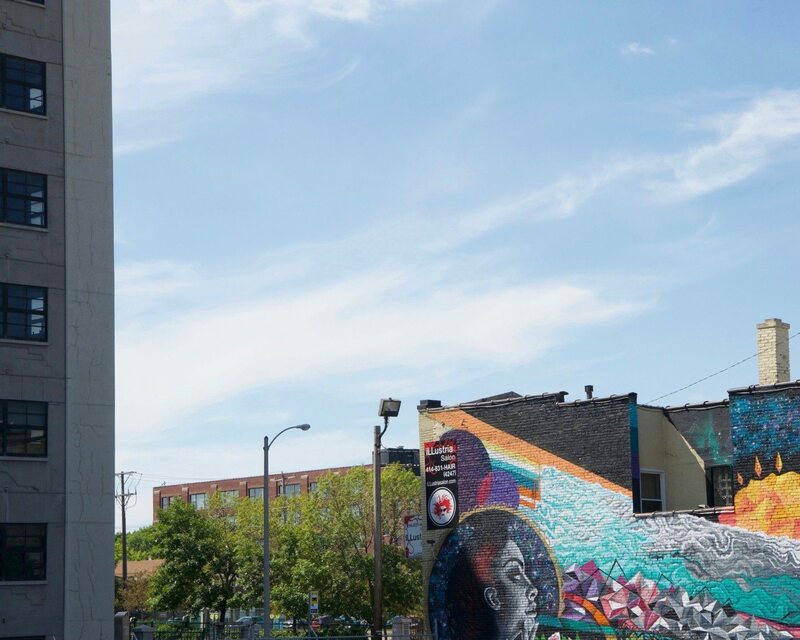 After it closed in 1983, its half-demolished buildings had a cult following of graffiti artists and photographers of graffiti art; now it has been acquired by We Energies. Big companies with tall buildings like V Marchese, Construction Resource Management, and National Warehouse Corp. still dominate much of the landscape — dotted with boat yards, scrap yards, and abandoned spaces — but other organizations (Workshop, PKWARE, Restore, Independence First) and residences (The Waterfront, Freshwater Plaza) are thriving examples of Harbor View’s reinvention. So what did I discover in my exploration of Walker’s Point/Inner Harbor/Fifth Ward/Harbor View/Harbor District? 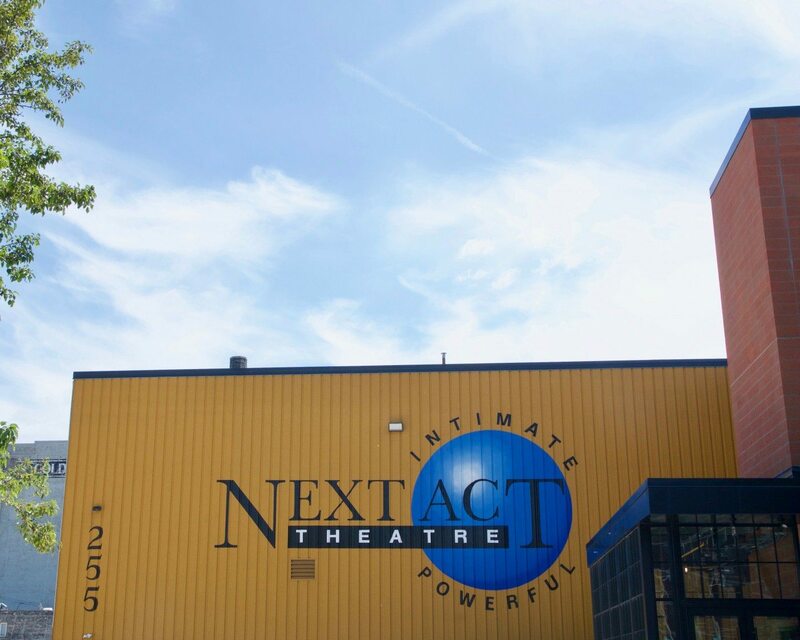 Where: 255 S. Water St.
One of the catchphrases of this intimate theatre is “Relevant stories, Relevant issues, Real conversations.” For over 20 years, Next Act Theatre has brought socially engaging, contemporary drama to Milwaukee, including Terrence McNally’s Lips Together, Teeth Apart (1993-94 season), Sam Shepard’s Fool for Love (1995-96), Paula Vogel’s How I Learned to Drive (1998-99), Athol Fugard’s Master Harold…and the boys (2004-05), Mike Lew’s microcrisis (2012-13) and Anna Deavere Smith’s Twilight: Los Angeles, 1992 (2015-16). The upcoming season begins September 28 with Laura Gunderson’s Silent Sky, which should be the perfect companion to the wildly popular film Hidden Figures, as it explores (no pun intended) the true story of the behind-the-scenes accomplishments of Henrietta Swan Leavitt, a female astronomer in the male-dominated galaxy of the Harvard Observatory in the early 1900s. Where: 420 S. 1st St.
On the lighter end of the theatrical spectrum is ComedySportz Milwaukee (CSz), where actors perform sans scripts every Friday and Saturday evening (with a midnight show on Saturday). A rowdy referee starts each match of seven to ten games between two teams, and a hilarious sound effects engineer matches their every movement. Come ready to laugh, clap and even, on occasion, participate as you enjoy goofy games like “Alien Dance Party,” “Bong Bong Bong” and “Communal Monologue.” CSz also offers fun team-building exercises for businesses, private parties for wacky friends and serious (kind of!) improv workshops for young and old. ComedySportz originated in Milwaukee in 1984 and has since spread to 24 cities around the globe. 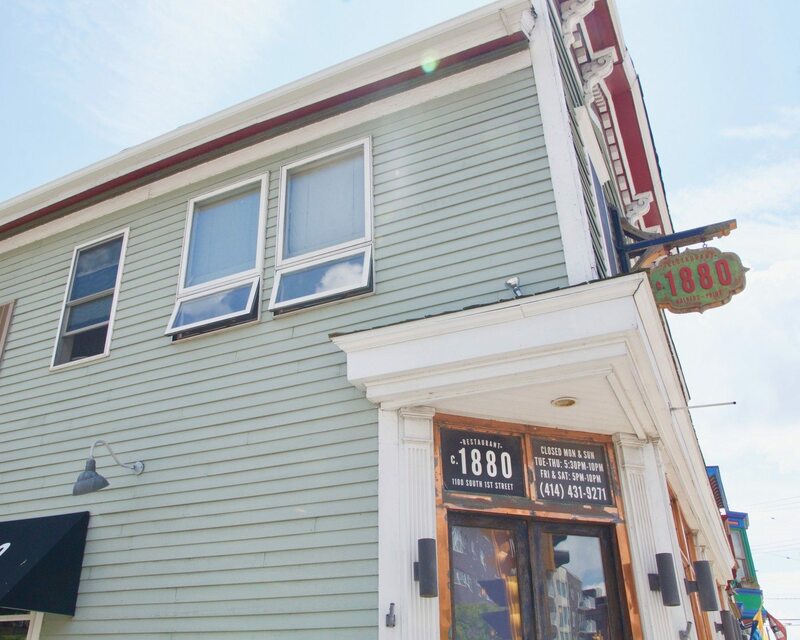 Where: 220 E. Pittsburgh Ave.
Where: 818 S Water St.
It’s easy to miss the nondescript brick building, especially in the dark, but just drive east on National Avenue until you can’t go any farther and you’ll see the spacious parking lot along the Kinnickinnic River. 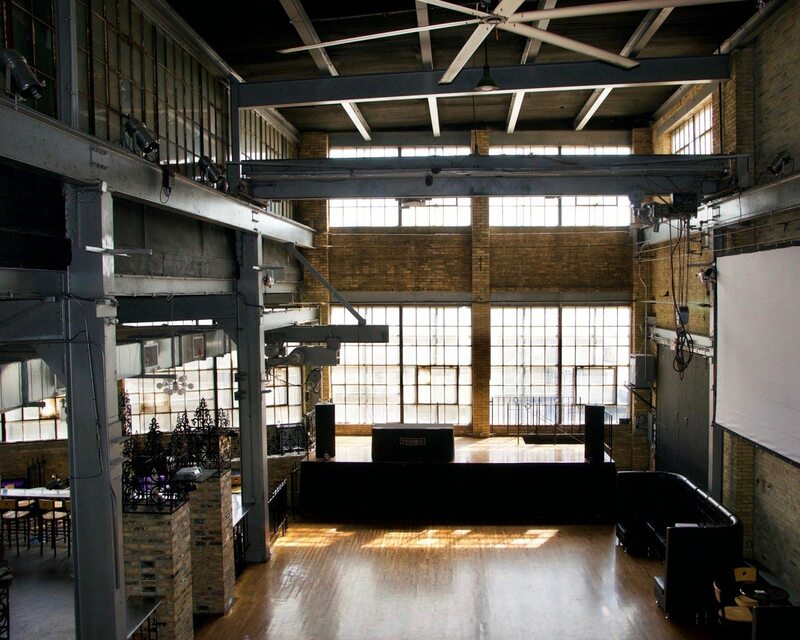 Wherehouse‘s interior is anything but nondescript, featuring high, beamed ceilings and warehouse windows, a large bar, VIP seating on the balcony and an ever-changing array of light and color. The building also houses Hot Water, a smaller space, and both clubs heat up four times a week (Tuesday, Wednesday, Thursday and Saturday) so you don’t have to wait until the weekend to cut a rug. 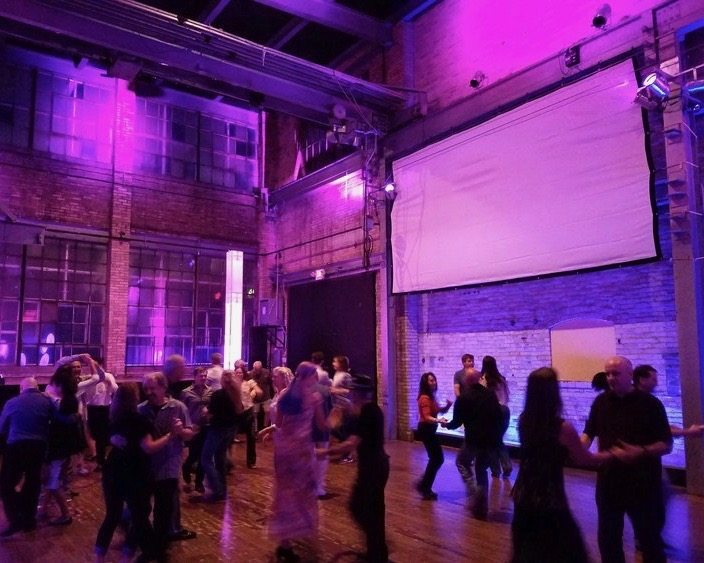 Choose to freestyle to Top 40s or rock one evening, then learn the Argentine tango, West Coast Swing or salsa on another night, all taught by professional dance instructors, with open dancing after each lesson. 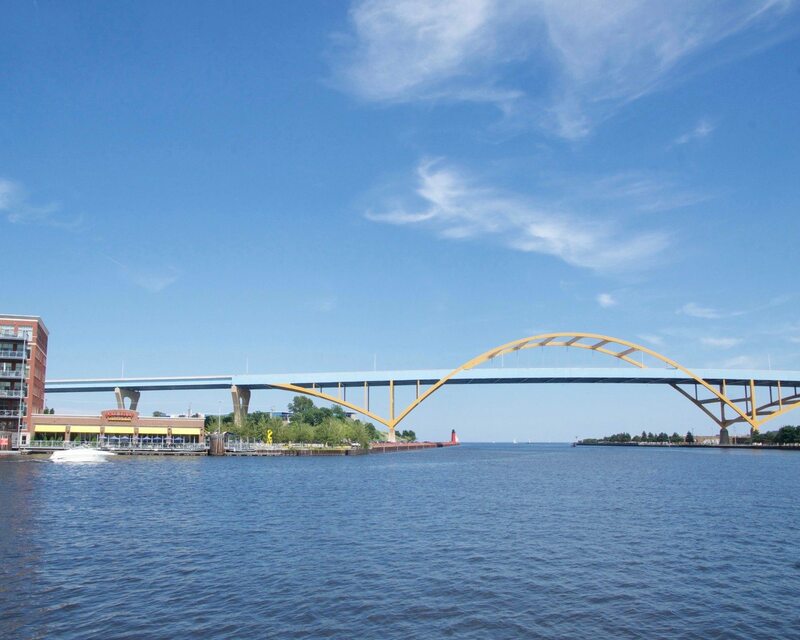 The patio has spectacular views of the Hoan Bridge and Jones Island, and the building is a favorite for parties, weddings and even filmmakers. 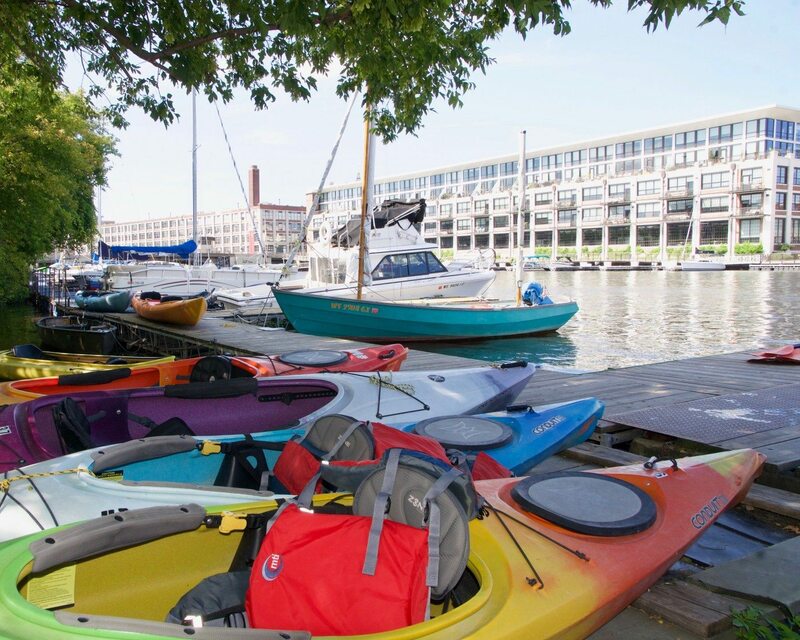 Where: 318 S. Water St.
Another slightly difficult place to find if you don’t know where to look is the Milwaukee Kayak Company, but once you’re there (it’s right across the street from Next Act Theatre at Jerry’s Docks), your river adventures await. 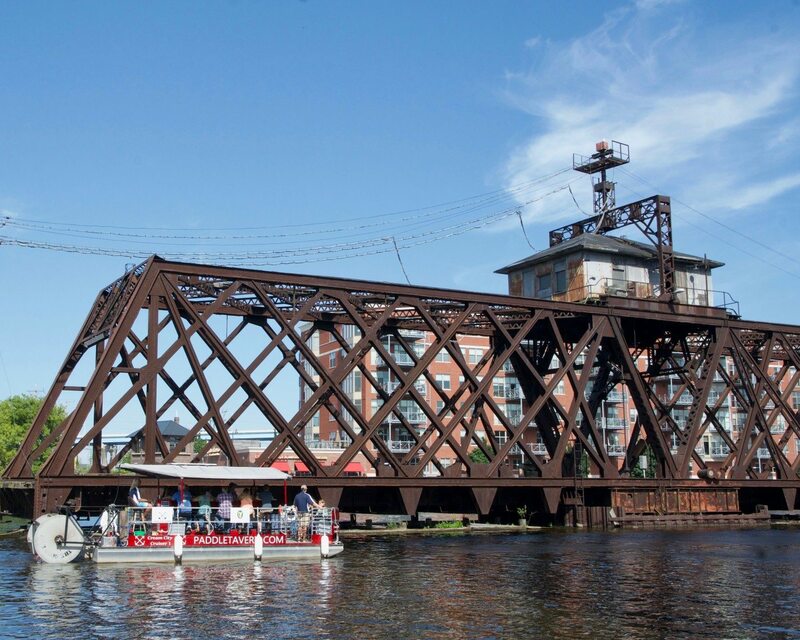 Paddleboats are rented for four-hour slots, which is plenty of time to explore the Kinnickinnic, the Milwaukee and Menomonee Rivers (just avoid Lake Michigan!). 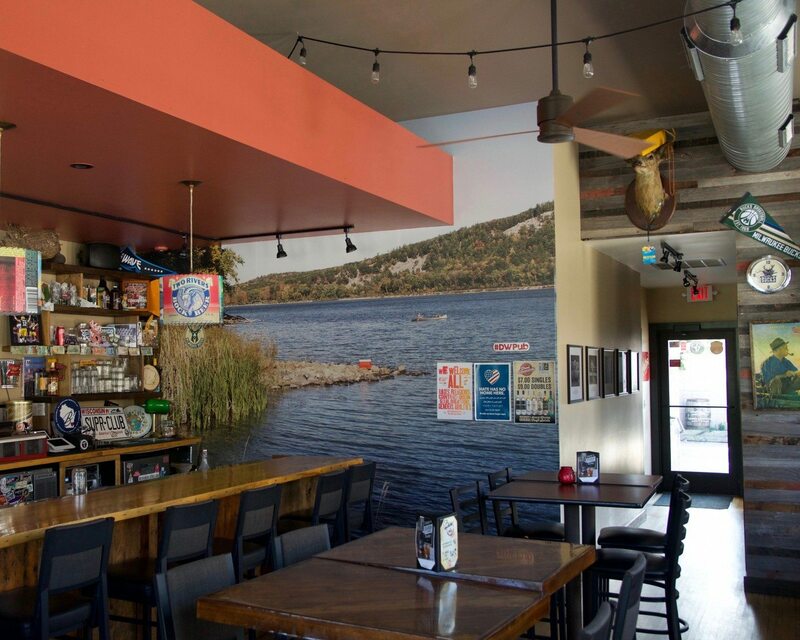 Summer is their busy season, so reservations are encouraged, especially on the weekends, for their single-person kayaks ($30), tandem kayaks ($50), canoes ($50) and standup paddleboards ($35). 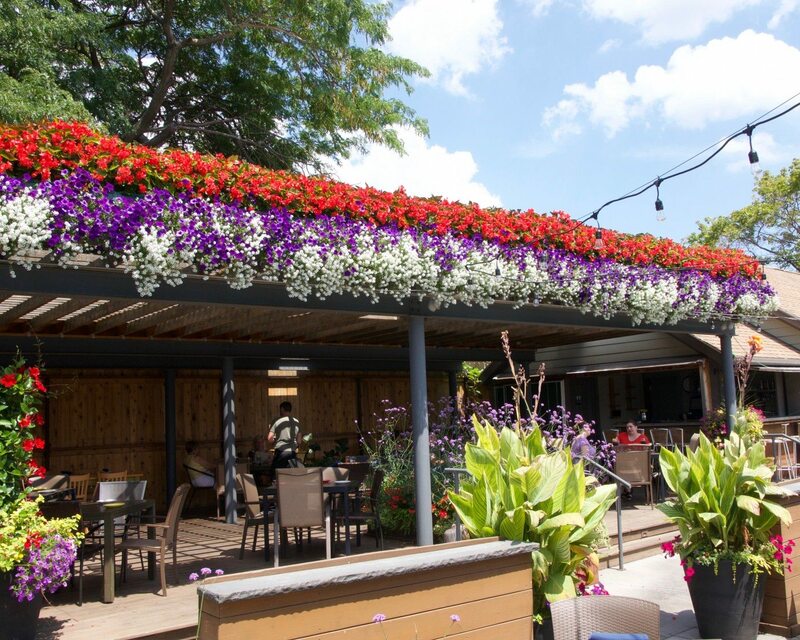 The laid-back staff is ready to answer any questions and ensure that you have a fun and relaxing experience. 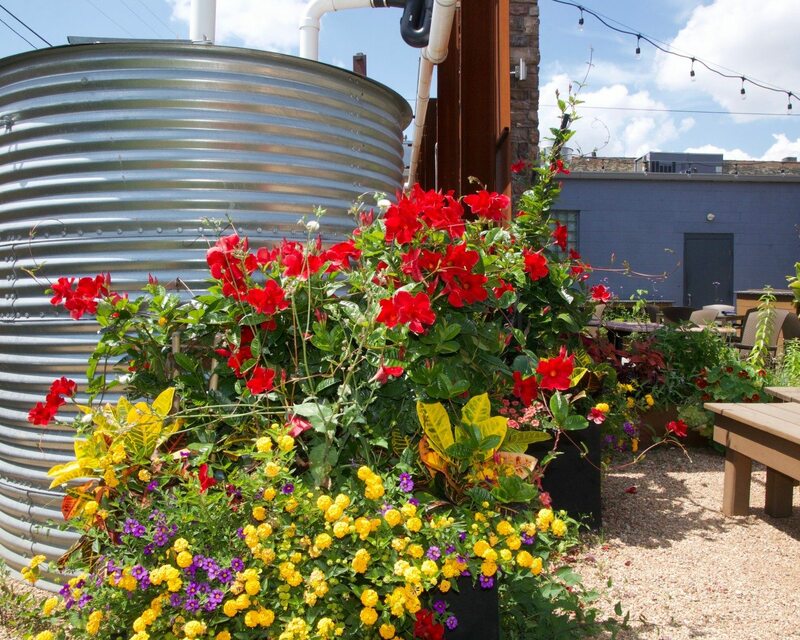 Where: 838 S. 1st St. If you’re more of a land lubber, then Coast In Bikes might be a more preferred way to explore the Harbor View (or as much of the city as you’d like). 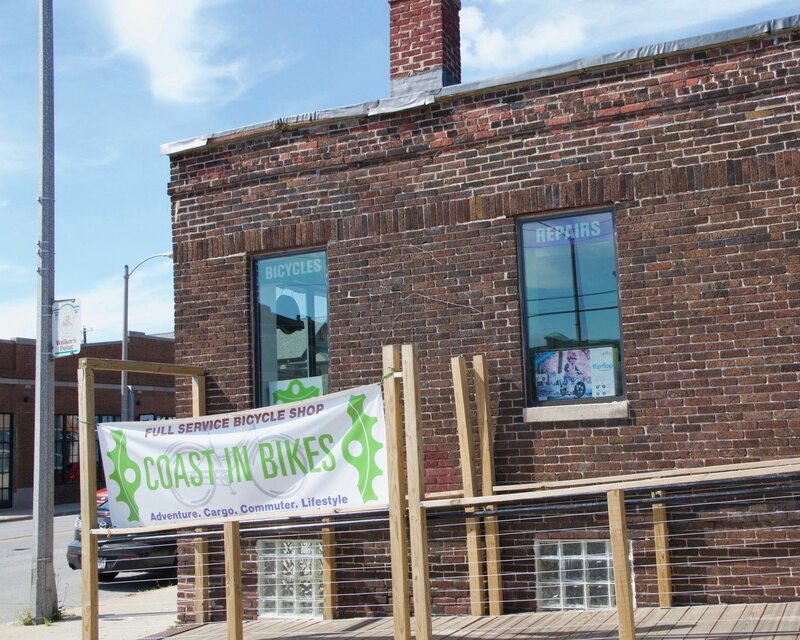 Whether you’re interested in renting or purchasing a bike (if you rent a bike and decide to purchase it, the rental fee is discounted), fixing a flat or purchasing a tune-up package (choose from The Basics, The Deluxe, or The Works), Coast In Bikes has what you need and more. They even offer a free pick-up and drop-off service for bikes in need of some TLC, within five miles of the store. 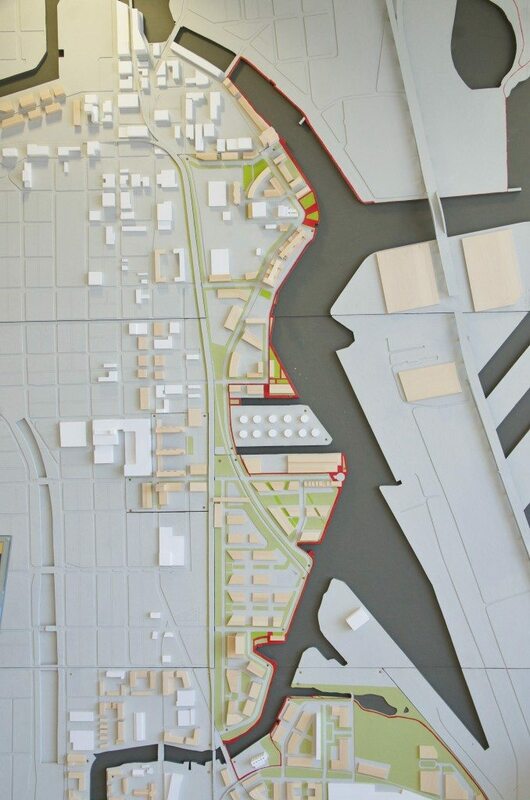 Remember that we’re focusing on the Harbor View portion of Walker’s Point/The Fifth Ward, from 1st Street east. That means that the 15+ food and beverage establishments on 2nd Street and west of there aren’t “eligible.” Even so, Harbor View offers plenty of options, so many that there isn’t room here to feature them all here. 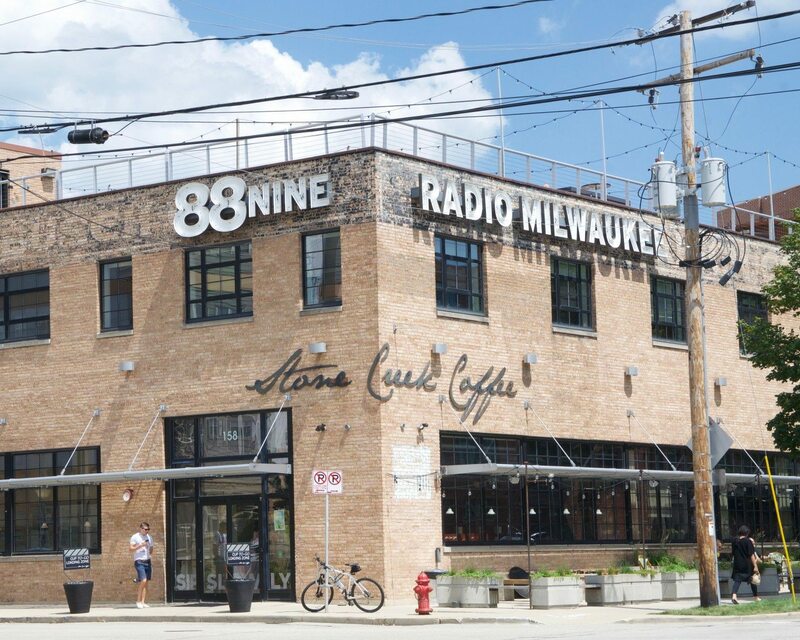 Quick and well-deserving nods go, however, to local staples Stone Creek Coffee at 88Nine (see above) and Colectivo’s Foundry Cafe a block away; Stack’d Burger Bar‘s build-your-own burgers (choose grass-fed beef, bison, chickpea walnut and more) and sixteen “Specialty Stacks”; Merriment Social‘s seasonal Wisconsin ingredients that elevate their burgers and shakes; and O’Lydias Bar & Grill‘s classic bar food for brunch, lunch, dinner and late night noshing. 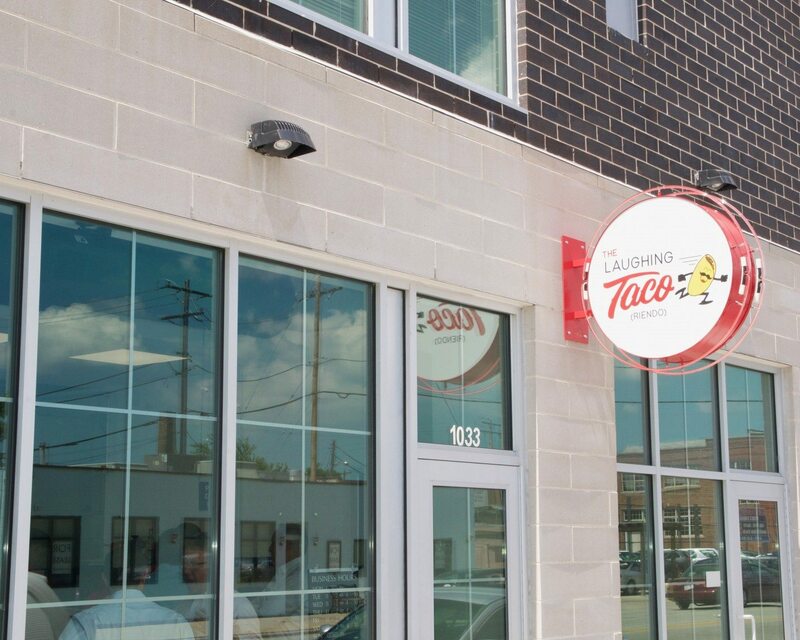 Where: 1033 S. 1st St.
Expect long lunch lines out the door of the latest addition to 1st Street, The Laughing Taco, which offers a simple menu of seven simple, street-style tacos (easily handled, two-or-three biters) that are well worth each bite. Try the Bistec (tender beef), the Trompo (sweet pork) and the Nopalitos (tangy cactus) washed down with a Mexican soda or a grapefruit-tequila slushie. Where: 125 E. National Ave. The entrance is nothing to rave about, but it allows for the pleasant surprise inside: friendly bartenders, a spacious dining room and, through the back door, one of the best outdoor patios in the city, featuring a bar, fireplace, vegetable garden and, this summer, a stunning rooftop arrangement of red, white and purple flowers created by Milaeger’s in Racine that flows over the covered bar area. 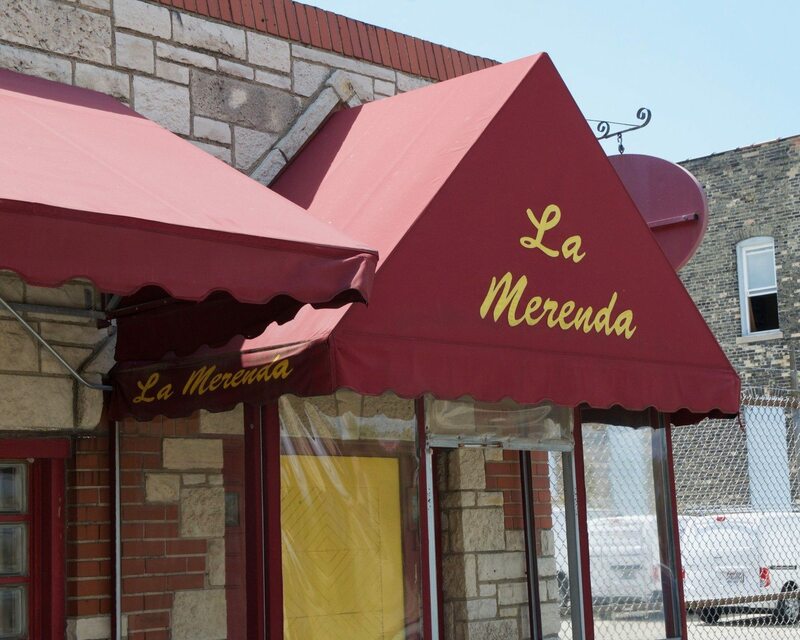 Take your mouth on a world tour with La Merenda‘s international tapas menu. Try combining Pistachio Salad (Italy), Sesame Rock Fish (Japan), Pork Belly Crepes (France) and Butter Chicken (India). 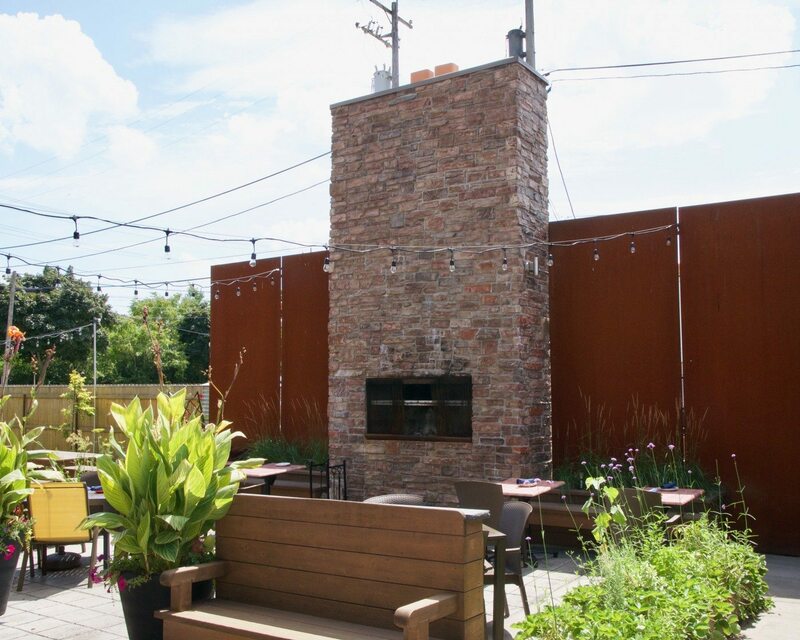 Where: 1100 S. 1st St.
C.1880 (as in “circa 1880”) offers Harbor View’s one and only fine dining experience, an intimate, rustic environment with old photographs and artifacts that harken back to Milwaukee’s heyday as a commercial and cultural powerhouse. A scaled-down dinner menu allows them to focus on taste and aesthetics with inventive and artful combinations like Pineapple Capicola with avocado and cilantro and Lamb with baba ganoush, pita panzanella, and pickled pepper. If you really want to splurge, explore their extensive wine list or try their five-course tasting menu with wine pairings. 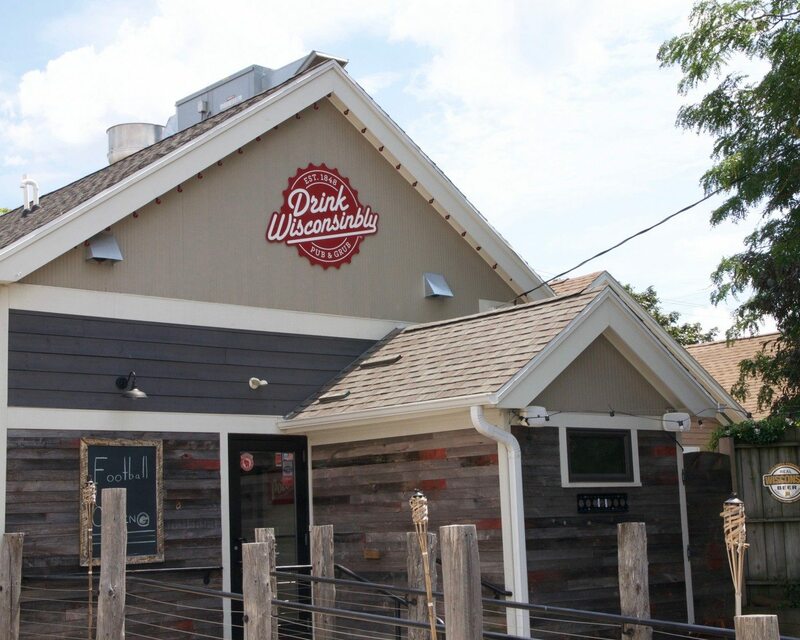 Where: 135 E. National Ave.
Once State Fair is over, head on over to Drink Wisconsinbly to indulge in grub like Wiscanchos (their house chips smothered with brat, belly and bacon, beer cheese sauce, jalapenos — and more), Pork Belly Poutine or even the dessert named, aptly, State Fair: brown sugar-battered Oreos, Purple Door cookies and cream and chocolate sauce. Then wash it all down with some local beers. 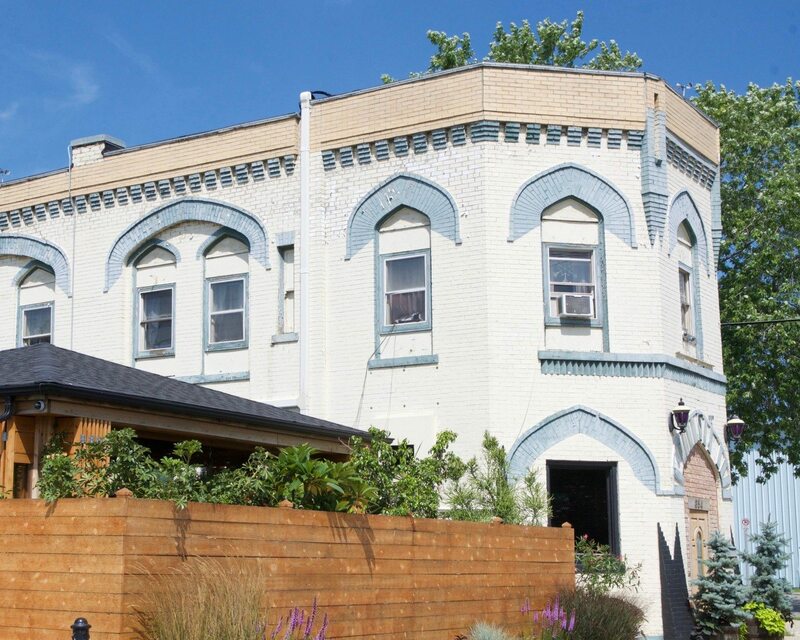 Where: 354 E. National Ave.
Just east of Drink Wisconsinbly and kitty-corner to the Hothouse & Wherehouse Night Club, the 1899 building that houses the gay bar Kruz boasts a renovated interior bar and a lush patio. 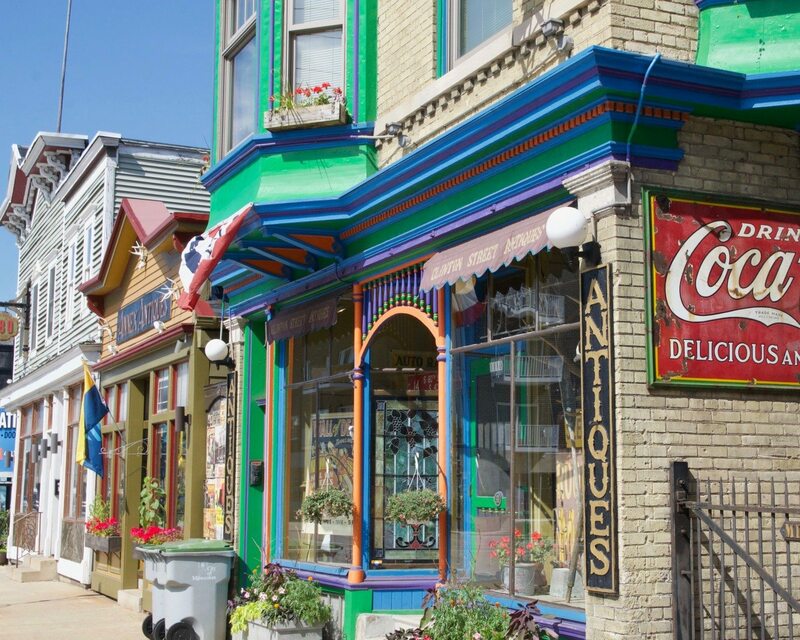 Despite — or perhaps because of — the fact that it occupies the lonely corner of National and Water and is just feet from the train tracks, Kruz, which has no sign identifying it, seems like a little home away from home in a quiet, riverfront town. 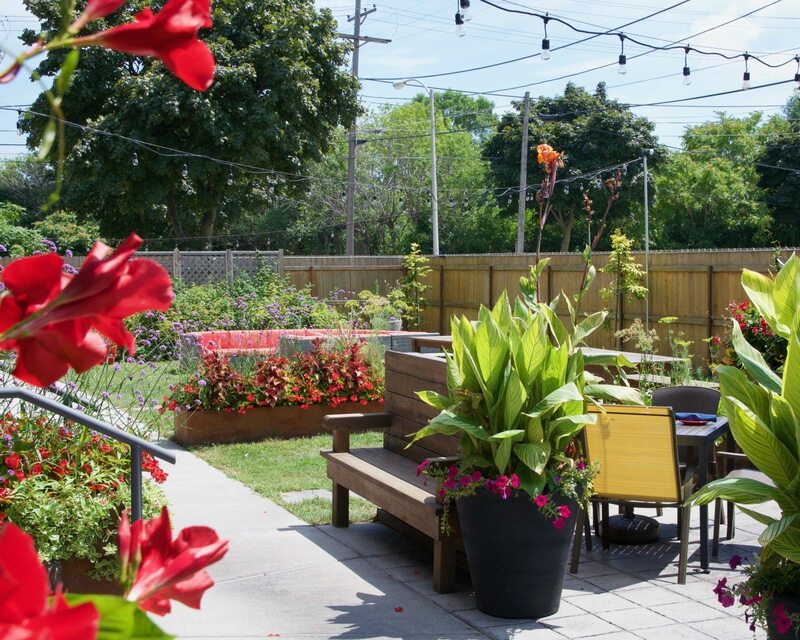 Although popular among gay men, the patrons are diverse and all are welcome. 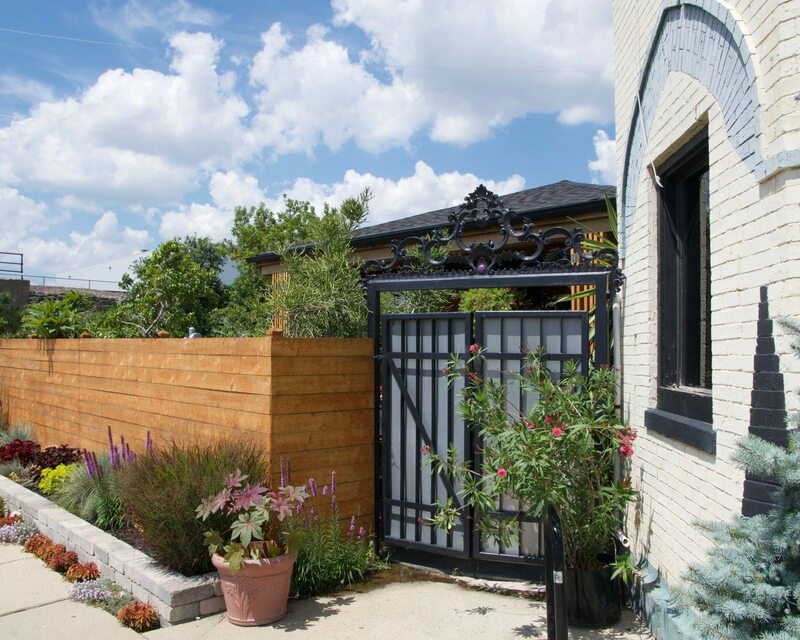 Where: 1236 S. Barclay St. 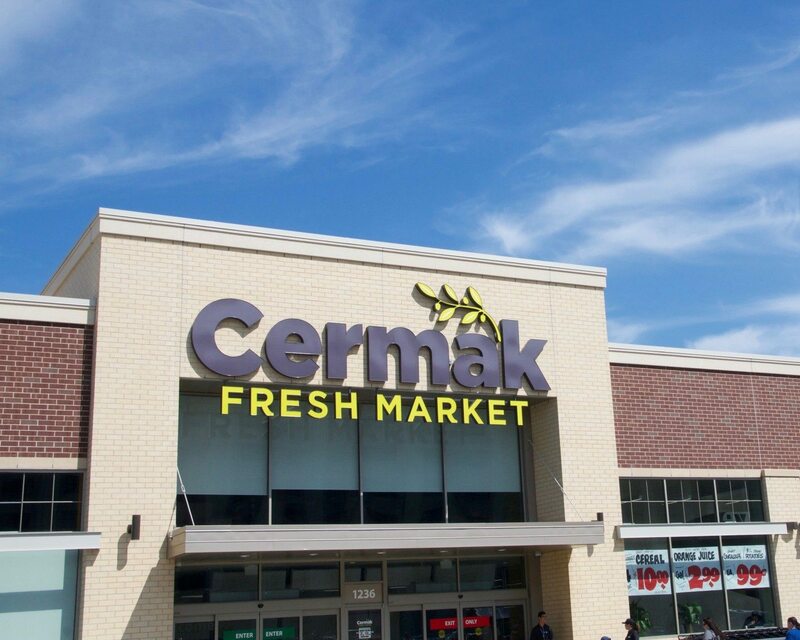 Finally, the second Wisconsin Cermak Fresh Market recently opened in the new Freshwater Plaza (the first of this Illinois-based chain is on Miller Park Way). If you’re more in the mood to dine in — especially if you’re looking for ingredients you probably won’t find at a regular grocery store — check out Cermak’s selection: Papayas and Florida avocados larger than your fist, cactus pears and aloe vera, lychees and quenepas (Spanish limes). Banana sauce and black vinegar. Russian smetannik cakes with sour cream frosting and conchas (Mexican sweet buns). And don’t forget the gelato bar and the twelve feet of hot sauces in the aisle. 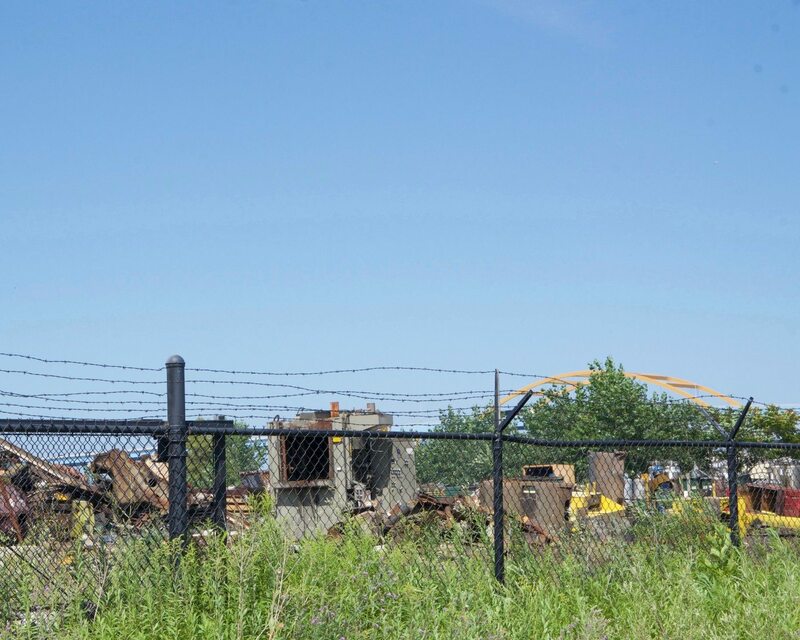 Where: 600 E. Greenfield Ave.
Toward the southern end of Harbor View, just north of the old Solvay coal piles, a long, ripply blue building almost blends in with the Kinnickinnic River, especially on a clear, sunny day. 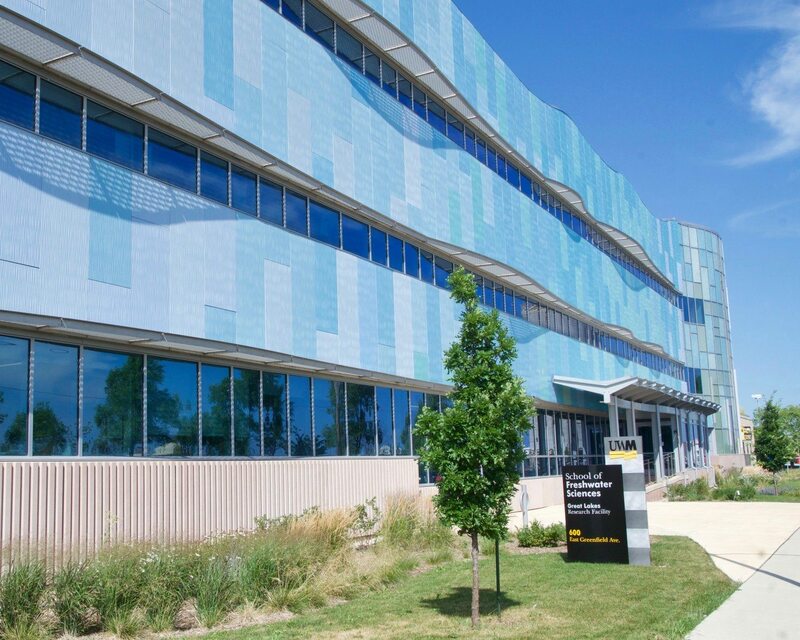 This is the state-of-the-art, 92,000-square-foot, 3-year-old Starboard Building of the UWM School of Freshwater Sciences and a $53 million home to classrooms and conference rooms, aquatic labs and the country’s first DNA sequencing lab focused solely on aquatic life. 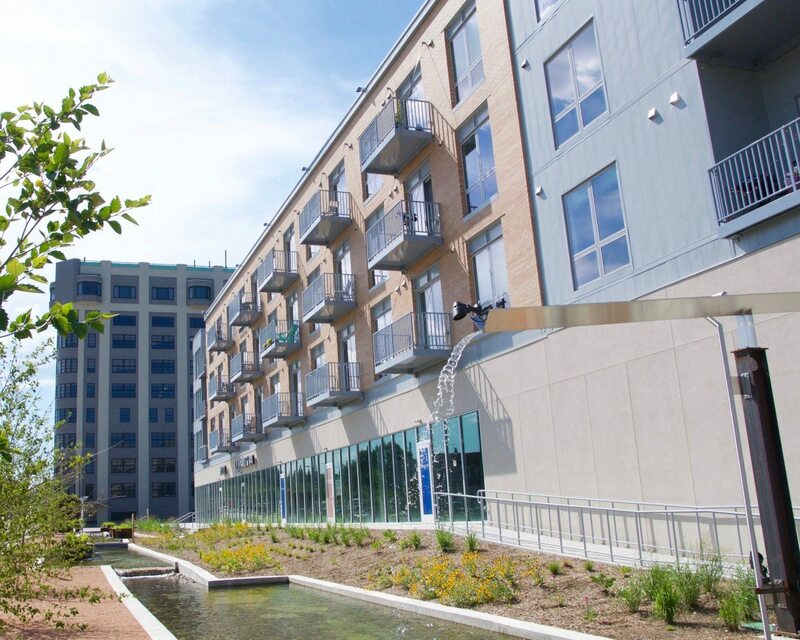 The 120,000-square-foot Port Building conducts even more of the School’s freshwater research on the intersections between human and water ecosystems, freshwater technologies, as well as freshwater policies. The School is the only such graduate school of its kind in the country. It joins the Global Water Center, a cluster of global water leadership organizations about a mile away, in Milwaukee’s bid to be the “freshwater capital of the world.” One of the best ways to learn more about the important water work they’re doing is to take a 90-minute tour on the third Thursday of each month at 12:30 p.m.